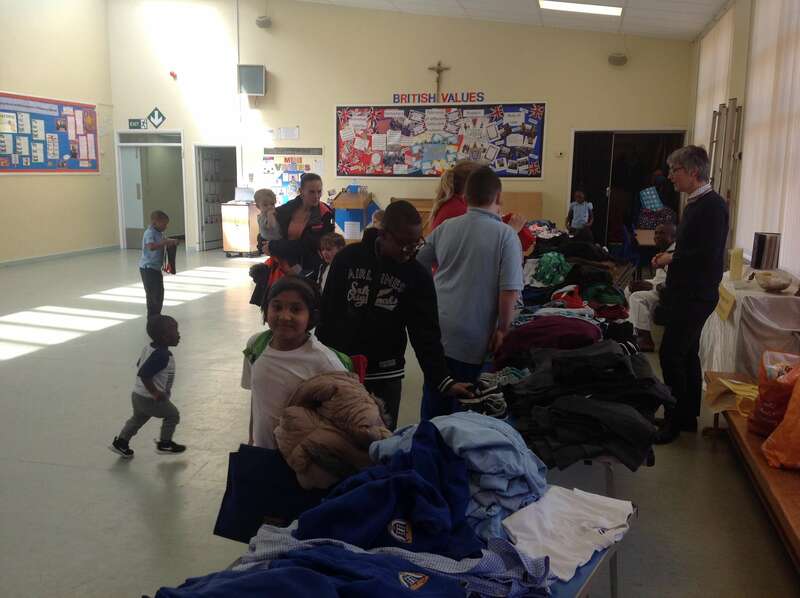 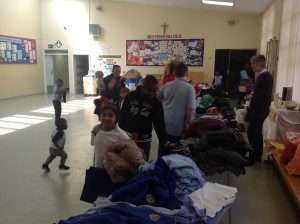 Year 1 and Year 2 collected clothing and held a clothes sale in school as part of our pledge from our Greater Good Day. 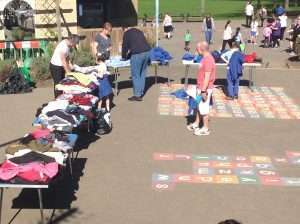 The event raised £60 for CAFOD. 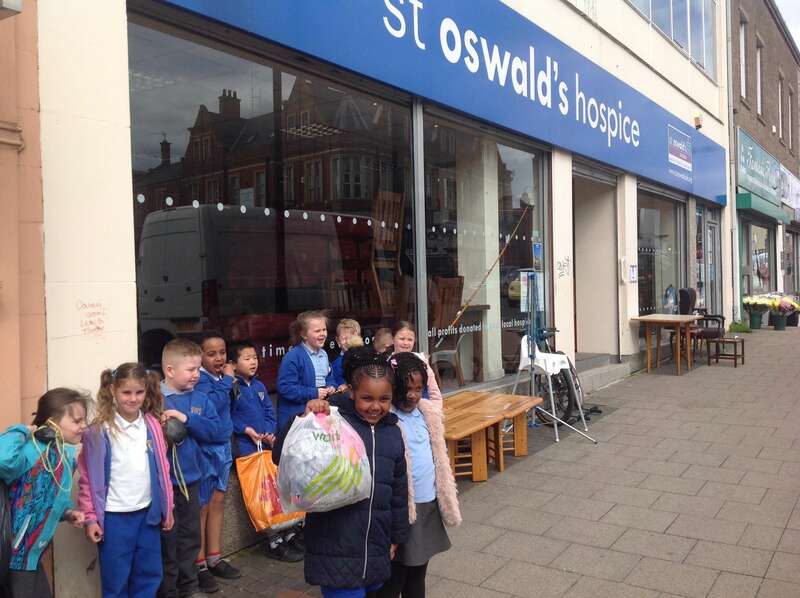 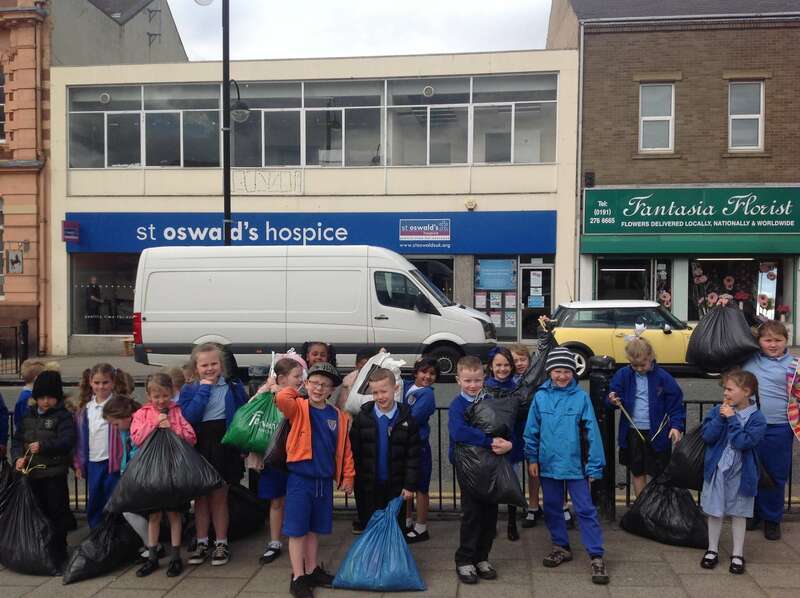 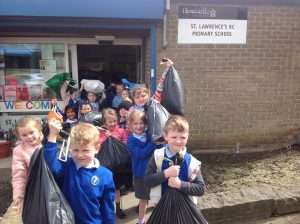 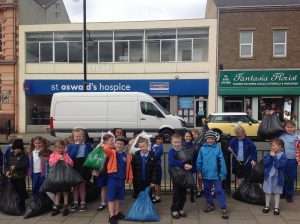 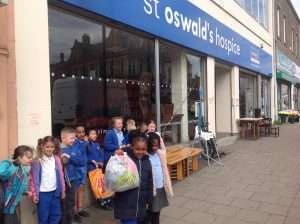 Year 2 took the remaining clothes to St Oswald’s Hospice Shop on Shields Road.